Last week I was lucky enough to be invited to a special tasting event to try out the new ice cream Round Rock Honey will be producing. 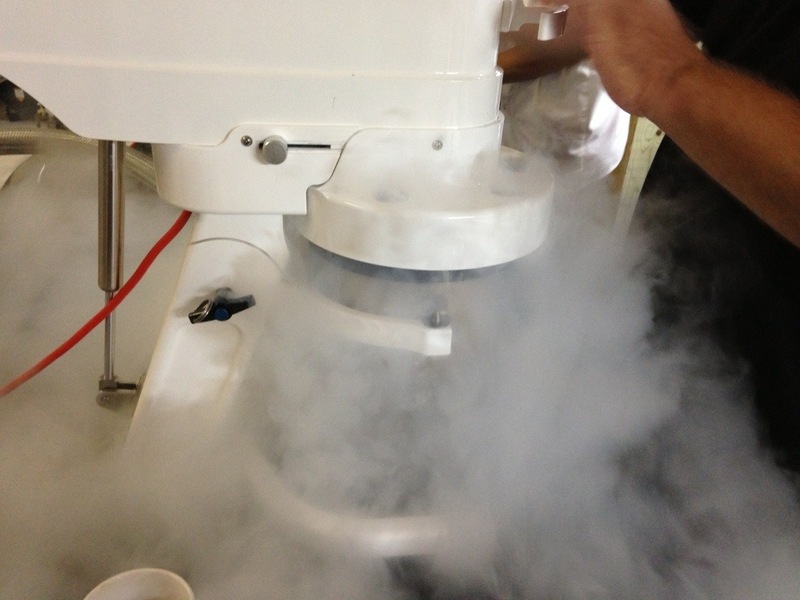 The ice cream will be called Bees Freeze and will use liquid nitrogen to instantly freeze the ice cream base right before your eyes. 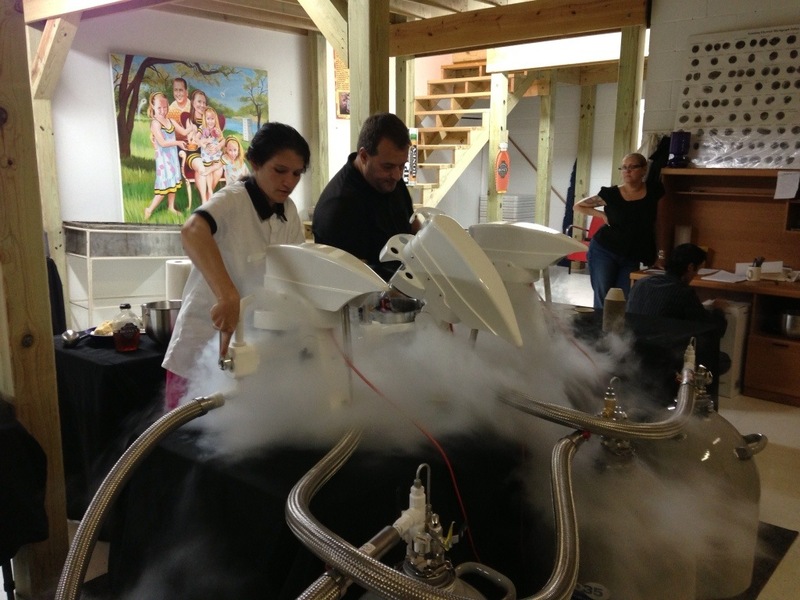 It is an impressive setup even before the liquid nitrogen is turned on. 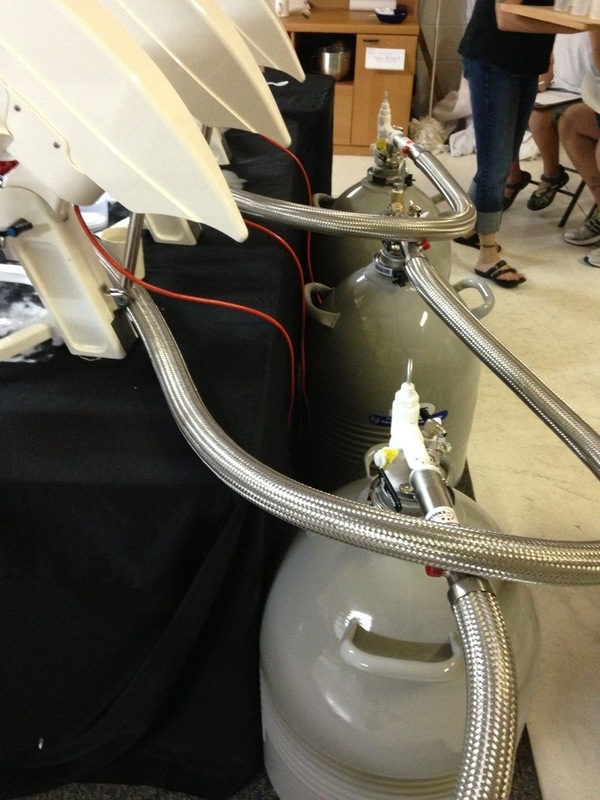 Here are the tanks of liquid nitrogen. The real show is when the ice cream is being made. 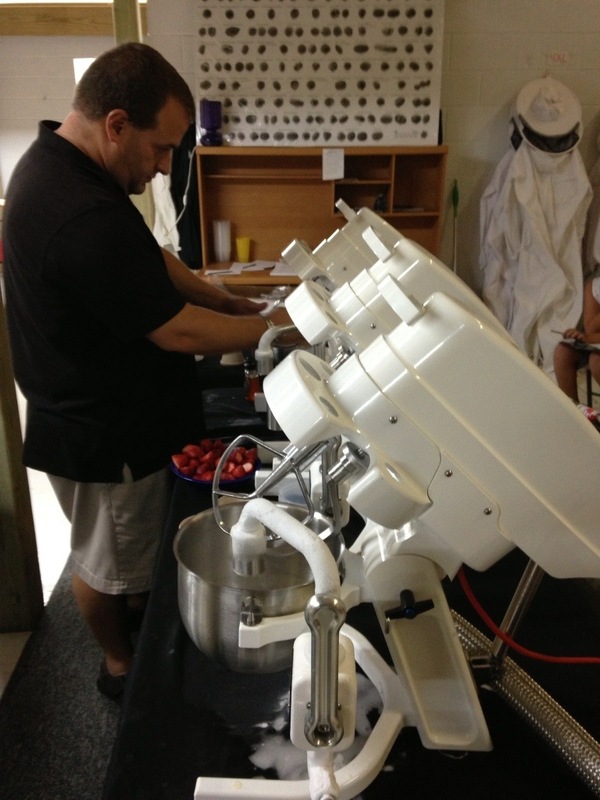 Here is their in-house chef Aimee Chauveron and Konrad making up a batch. A close up of the process. They made vanilla, strawberry, and chocolate that evening for tasting. It wasn’t all fun and games as we filled out data sheets for each flavor around texture, color, and taste as they continue to tweak their recipes leading up to the official launch. I like the fact they are using grass fed milk from Full Quiver Dairy and of course, they are using their own honey as a sweetener. I was a little skeptical at first since I’ve used honey in making my own homemade ice cream at home and sometimes the honey will overpower the other flavors. However, they have managed to strike the right balance so the honey compliments the other flavors instead of overwhelming them. They will be making their debut at the Cedar Park Farmers Market on August 31st and Mueller Farmers Market on September 1st. If you are in the area, I would highly recommend checking them out. I was wondering how it was going to taste when I saw they were going to do this. Neat idea! On another topic – I hope you are going to get new bees next year. I really enjoyed reading your blog.